From bush to beach, there is a lot to explore in the Auckland region! Auckland is more than the central area with the Sky Tower in the middle. Surf, islands, forest hikes, you are likely to find all these in Auckland’s regional parks and outer districts. Whether you are working or exploring Auckland, you will find cheap accommodation in Auckland. Because Greater Auckland is split into many districts, we have put together a quick list of the districts where you are likely to find some cheap accommodation, as well as outlining how far away they are from Auckland Central. This accommodation guide to Auckland is also split into accommodation types, so you can just skip straight to your preferred accommodation style! WHICH AUCKLAND District TO FIND ACCOMMODATION? There is accommodation found all over the Auckland region. Here’s a quick rundown on what to expect in each Auckland district in relation to Auckland city centre. For more about Auckland and its inner city suburbs, read our Accommodation Guide to Auckland City Central. Manukau – Location: South Auckland, Distance from CBD: 25min drive. Average weekly rent for a room: NZ$180. Franklin – Location: South Auckland, Distance from CBD: 50min drive. Average weekly rent for a room: NZ$185. Waitakere– Location: West Auckland, Distance from CBD: 30min drive. Average weekly rent for a room: NZ$190. North Shore – Location: North Auckland, Distance from CBD: 20min drive. Average weekly rent for a room: NZ$200. Hibiscus Coast – Location: North Auckland, Distance from CBD: 30min drive. Average hostel night: NZ$34. Matakana Coast – Location: North Coast, Distance from CBD: 45min drive. Average weekly rent for a room: NZ$170. Rodney – Location: North Auckland, Distance from CBD: 15min drive/50min walk. Average hostel night: NZ$34. Hauraki Gulf – Location: eastern islands off the coast of Auckland, Distance from CBD: 30min-2h30min ferry. Average weekly rent for a room: NZ$210. Average hostel night: NZ$35. For Auckland Central and the inner suburbs, such as Central, Ponsonby, Parnell, Mt Eden, Newmarket and more, check out the Accommodation Guide to Auckland City Central. There are 20+ hostels throughout the Auckland region, from your island getaways in Waiheke Island and Great Barrier Island to conveniently placed backpackers in Manakau near the airport. Expect to find the most hostels in more touristy destinations and the odd one near picking work opportunities in north Auckland. Because hostels are quite dispersed in the Auckland region, you may find more convenient options in campgrounds, holiday parks and AirBnB. 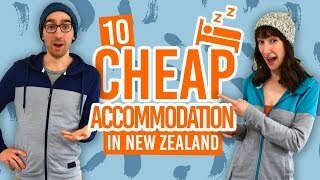 Hostel prices in Greater Auckland usually start from NZ$30 per bed per night. We always recommend to book your bed a week or two in advance during summer. You can always keep the cost of living down along with an extended stay by working for accommodation in a Greater Auckland hostel. For tips, have a look at How to Find Work for Accommodation in New Zealand. For a complete list of hostels in Auckland, check out Auckland Hauraki Gulf – Guide for Backpackers, and for Auckland Suburbs, check out Auckland Suburbs – Guide for Backpackers. 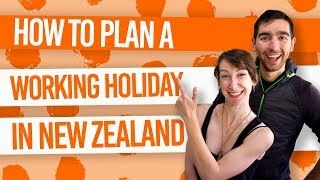 Renting a room is common practice in Auckland to keep the price to minimum when staying in Auckland long-term, usually done if you have landed a job in Auckland as part of a working holiday. You are much more likely to find a room to rent in one of the Auckland districts rather than in Central Auckland. However, availability is much more limited compared to many other locations in New Zealand due to the fact that the region is so populated. Expect a room to rent in the Greater Auckland region to be around NZ$195 per week. That’s a room to yourself in a flatshare or houseshare. Stay with a local Aucklander (or JAFA, as they are known) in one of Auckland’s delightful districts. AirBnB, the online network of people’s “spare rooms” available for accommodation, is particularly huge in North Shore, and the Hibiscus Coast. You may find some rooms in Manakau and Franklin. We’ll help you toward your first Airbnb stay with this FREE NZ$50 credit. You can find an array of NZ$20-40 rooms around Greater Auckland. Expect most rooms to be around NZ$35 per night. Consider an AirBnB room for a local experience! The Auckland Region is ideal for those who love camping, staying in a campervan and lapping up the great outdoors. There are 44 campgrounds across Auckland’s regional parks, from beach front to bush, that are run by the Auckland Council, and 9 Department of Conservation campsites. Most campgrounds in Auckland do require a booking and small fee. For a full list of these campsites and holiday parks, check out Where to Camp in Auckland and 5 Free Camping Spots in Auckland. Extra facilities and a wider range of accommodation can be found in the holiday parks and motor camps throughout the Auckland region. You will be spoiled for choice. More information on holiday parks can be found in the Accommodation Guide to Holiday Parks in New Zealand. 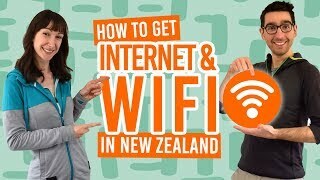 For a full list on where you can camp in Auckland, take a look at Where Can I Camp in Auckland. Check out these articles for more information on things to do and public transport in the Auckland region.